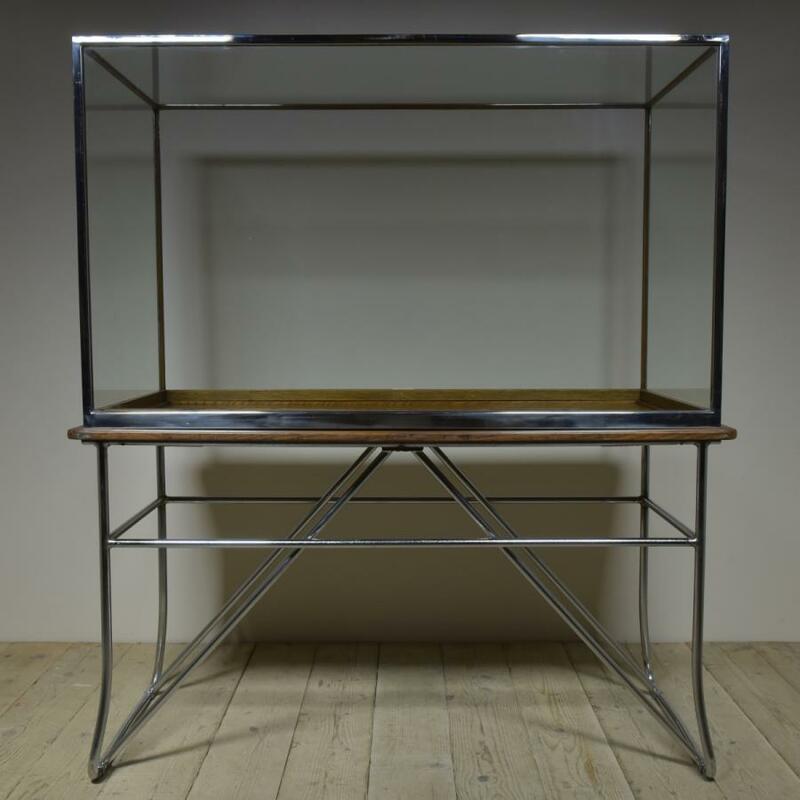 An unusual large glazed 1930s museum display cabinet by Harris & Sheldon of Birmingham with a chromed brass framed upper supported by a tubular steel base with an oak top. 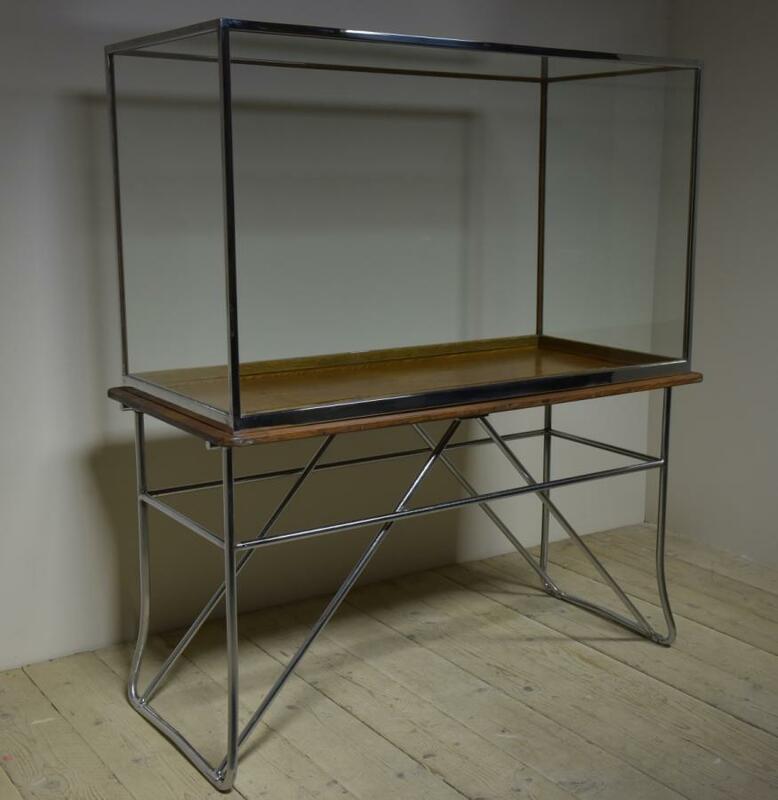 The base is made by PEL (practical equipment Ltd - there is brass label on the base) Please note one of the glass panels (the rear piece)is missing and may have been taken out to make loading the cabinet easier. (there are no opening panels) Also the chromed base has degraded. It has been cleaned up as far as possible but if a perfect finish was required it would have to be rechromed. It could also be polished back to steel or painted. 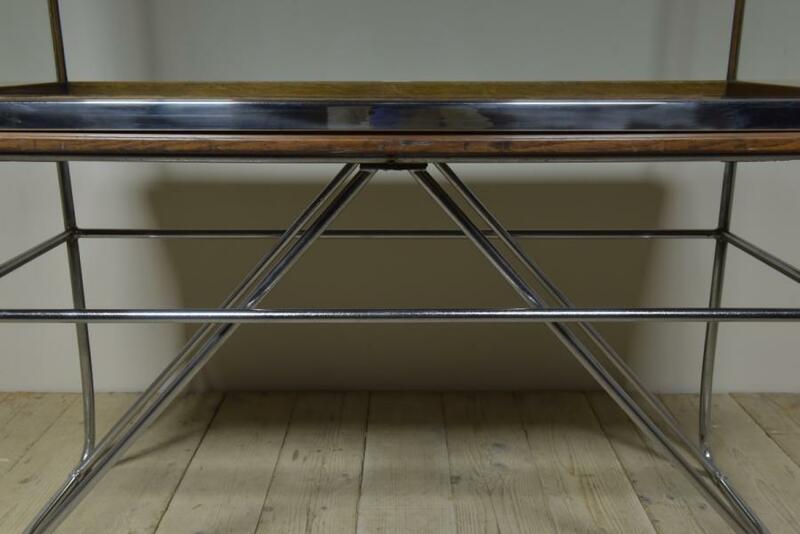 Various scratches to the upper chromed brass frame.Overall useable as is. Dimensions in inches/cms; 63/160 max width x 31/79 max depth x 72/183 overall height. 35.75/91 is the table surface height. 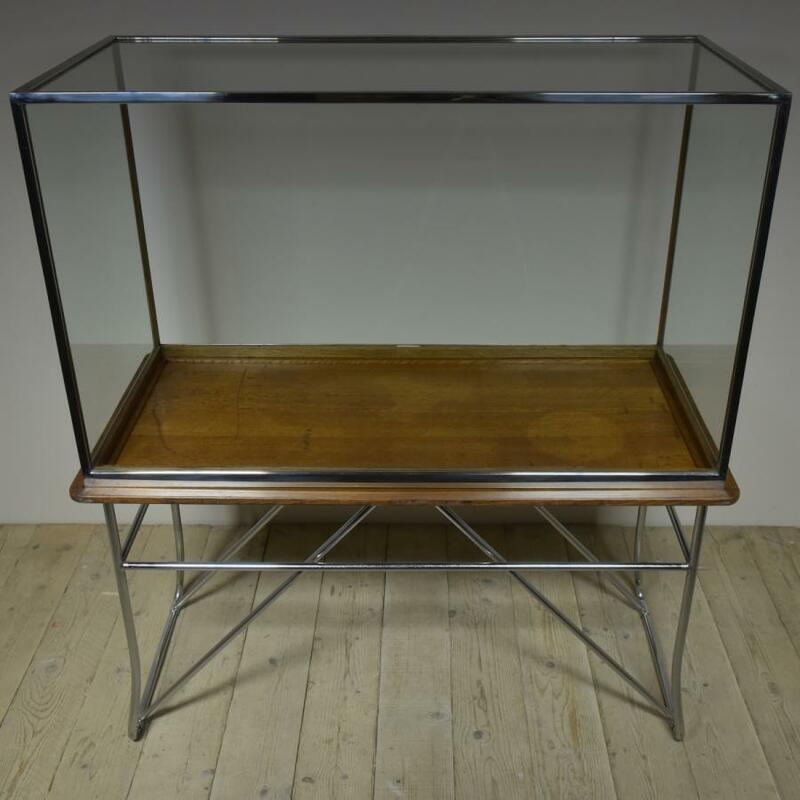 The external dimensions of the glazed cabinet are 28/71 deep x 36.25/92 tall x 60/152.5 wide. For more / higher res images please see my blog which can be accessed through the news section of this (haes) website.